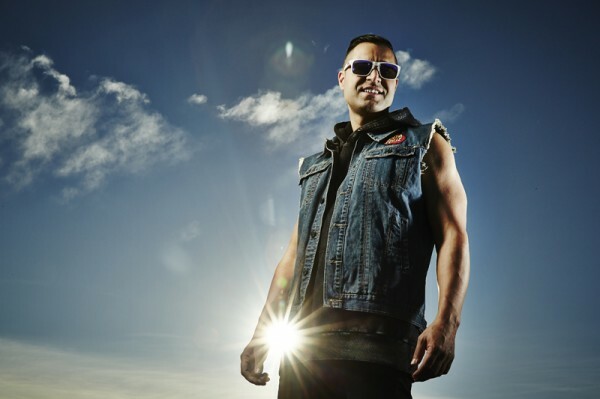 With over a decade of music experience under his sleeve, G-Wizard is by far one of Australia’s most in demand DJ’s. His blazing performances and banging beats have been heard across the nation and captured the attention of international superstars. When he’s not in the studio, he’s on the road with his band. Luckily enough, I was able to catch him on his day off to ask him about his passion for music, projects for 2014 and the idea behind his industry event tomorrow called Engine Room. First off tell me a bit about yourself, what are your likes? Well I can be humorous or I can be serious – I can say I like Paul Newman’s ranch dressing with carrots *LAUGHS* and that I love my broccoli. But to be broad I love what I do, I love playing, I love to travel, I love taking my shows to different cities and testing all the stuff I’m producing on the road. You’re basically a resident DJ at Marquee Sydney, what is your favourite aspect about the nightclub? Marquee is world-class and not just a name. You can tell that it was a purpose built club unlike a pub that’s got a DJ system. It’s a club where you know you’re going to get a real nightclub experience. So I love the aesthetics of the place and the idea that it’s built for light and sound. You’ve created a name for yourself in the EDM community, what’s the best thing about being a part of the music industry in Australia? It’s just amazing with so many artists and labels emerging out of Australia right now. There are so many opportunities to produce music and work with world-renowned producers. We’ve got guys like Will Sparks, Uberjak’d, Kronic, Tom Piper, and Tommy Trash who’s gone overseas and doing big. These are all Australians that are doing massive on the EDM community world-wide, setting an example and a path to show our sound and what we can do. It’s just awesome. So tomorrow you have your industry event called Engine Room, tell me about it. So Engine Room is a concept that’s been in the bag for over ten years now. Back in the day I used to jam with a percussionist named Pat who is just amazing; he’s world-class and has travelled everywhere. And in recent times I’ve met an amazing musician named Xavier Dunn who I’ve been producing and making music with and plus he plays every instrument. So I’ve formed a little band combined with a concept that I’ve been thinking about for a long time; it’s me playing, I’ve got a percussionist and a keytar player. Basically it’s a two hour set with all the most recent tracks and some classic oldies and we play it all live. It’s a full-on show where we bring together all the current EDM and pop music to life. And Marquee has got behind me with all the cannons and confetti bombs to the LED sticks and the dancing girls. Any major plans for the rest of 2014? Of course! I’ve got a bunch of releases coming out. I just produced two singles earlier this year, one called Smoke & Mirrors and the other one called Weapon. And both did really well on the ARIA charts here in Australia. But yeah I’ve got a number of singles coming out every six weeks, one featuring Marvin Priest called Crossing Over and I’ve got one with Tenzin featuring Nicki Minaj. But that’s outside the touring; I’m pretty much away every weekend until September. And finally, if you could have any superhuman power what would it be? Teleporting. I don’t want to sit in any device like The Matrix or put something into my head so maybe with a click of a finger or a blink will do. So catch G-Wizard tomorrow as he takes over the BoomBox Room with a special industry event called Engine Room. Tickets are still available here so grab yours now!